bread #9 Buttermilk biscuits here we go! I must say… I am slightly embarrassed to admit the number of sticks of butter this household tends to go through per week. It is quite astounding really. Well I am embarrassed until I remember how lucky these boys of mine are to have such scrumptious treats all the time. Butter and all! Regardless, this recipe requires a taste for just that. Oh, butter. You rich, creamy, perfect addition to any bread. You fattening devil you. You butter, if it were not for the man who some refer to as my husband (while others just opt for Lee) I think I should fall for you head over heels. 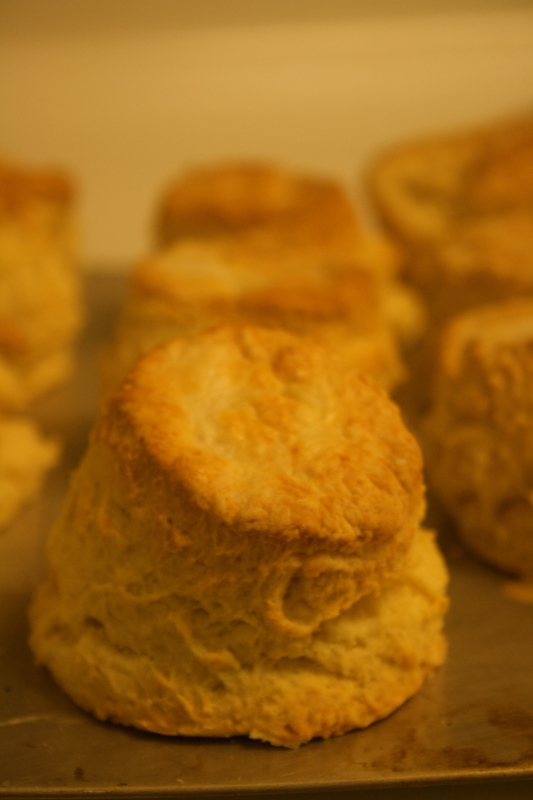 Taking into my account for this love affair I seem to be having, I decided a little buttermilk biscuits, savannah style, was in order. And oh my. Oh my. Oh my. Miles happened to be around for the oven opening revealing of the completed towers of heaven and even he realized the grandees of this afternoons project. When the warm oven air hit his face, and the fresh buttery smell entered his nose, I kid you not he exclaimed, “Oh my gosh! I can’t believe it!” and just started to laugh and laugh. Of course this was contagious and next thing I know Rowan was giggling and then I joined right in as well. While they might have been a little bit taller than I remember ever seeing, this was not a problem whatsoever. It might have even been an asset. Preheat oven to 400. 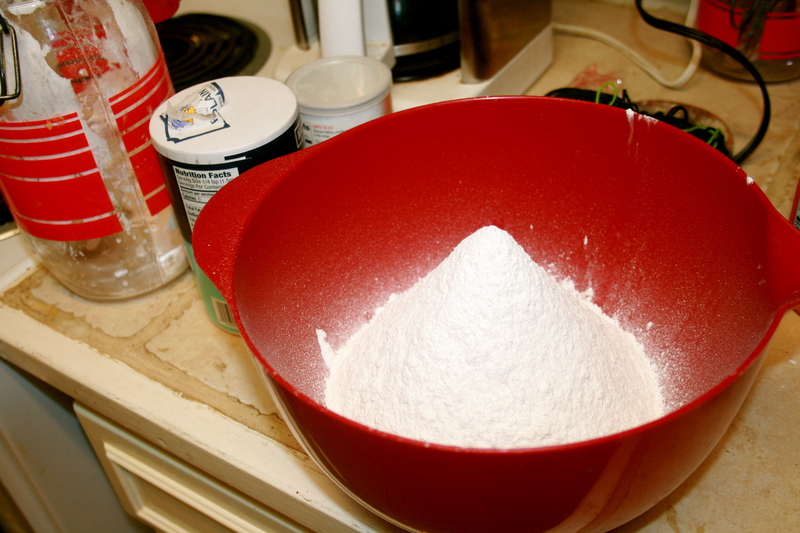 Sift together 4 cups of all-purpose flour, 2 tsp. salt, 1 tbs. baking powder and 2 tsp. soda. Cut in 1 1/2 cups of cold butter. Make a little well in the mix, and add about a cup of buttermilk. A little more a little less, depends on how it all comes together. But once it forms a ball set it on a floured surface. Roll it out and fold it over itself three or four times (this creates those fantastic peeling layers that are soo essential in a biscuit). Cut them out with an upside down cup, a cookie cutter, or just cut them into squares. This recipe should make about a baker’s dozen. Bake for 15-20 minutes until golden delicious. Serve hot with jam, honey, and what else? Butter. This entry was posted in the year of bread and tagged buttermilk biscuits. Bookmark the permalink.